So. I’m in the basement last night, in my office, about to start a blog post when I realize I left my camera upstairs. I get up to fetch it, and suddenly, I’m flying through the air and land rib cage first on the concrete. Apparently, I tripped over a box, but I was basically on the ground before I even realized what was happening. It was like being drunk and wondering how you’d ended up face down on the neighbor’s lawn (or, ahem, how I imagine that would feel). 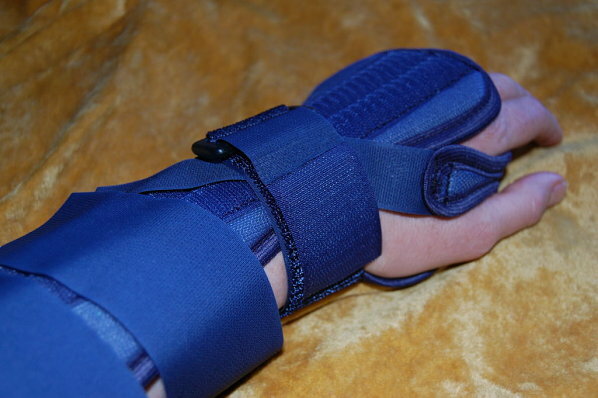 Basically, I am to wear this until it stops hurting, and in the meantime, take percocet for the pain. So much for all that salsa I wanted to make. Urgh! And this happened almost to the day that I broke my ankle last year. I suppose it could have been a lot worse though, considering we store our bikes down there and my face could have easily met up with a pedal. I’d love to write more, but this has taken forever to write with one hand. You may end up with 2 comments…my first one disappeared. So, here’s the deal, I tagged you before I realized you were injured. (if you don’t know what that means look at my blog) I would still love for you to participate, but please take as long as you need! Again, see my blog for the rules and whatnot. I hope you heal quickly!!! What a great idea! Thanks for thinking of me.